Visit our YouTube page to see lab videos! 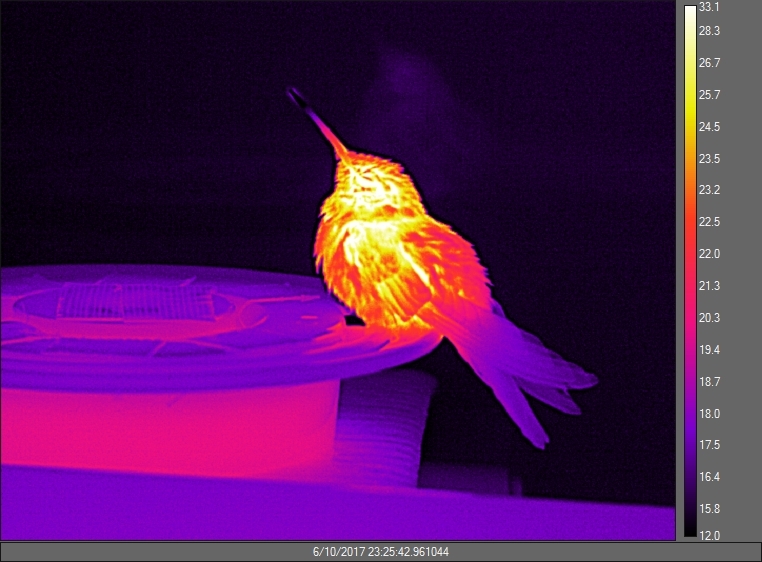 My lab has concluded a six-year project to explore how hummingbirds respond physiologically to climate change. 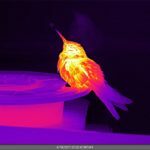 This project, which is funded by NASA, is a component of a larger project entitled “Combining Remote-Sensing and Biological Data to Predict the Consequences of Climate Change on Hummingbird Diversity” involving several researchers from across the country. Specifically my lab will measure the energetic response of hummingbird species in North and South American to climatic shifts (high temperature) as well as attempt to model how physiological constraints might impact future changes in hummingbird distributions. 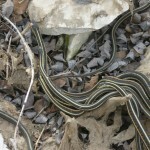 Our primary collaborators in this project will be Catherine Graham (SUNY Stony Brook; Lead Principle Investigator), Scott Goetz (Woods Hole Research Center), and Susan Wethington (Hummingbird Monitoring Network). In addition to research students in my lab, much of the work on this project has been done by Anusha Shankar (Ph.D. student, Stony Brook University). 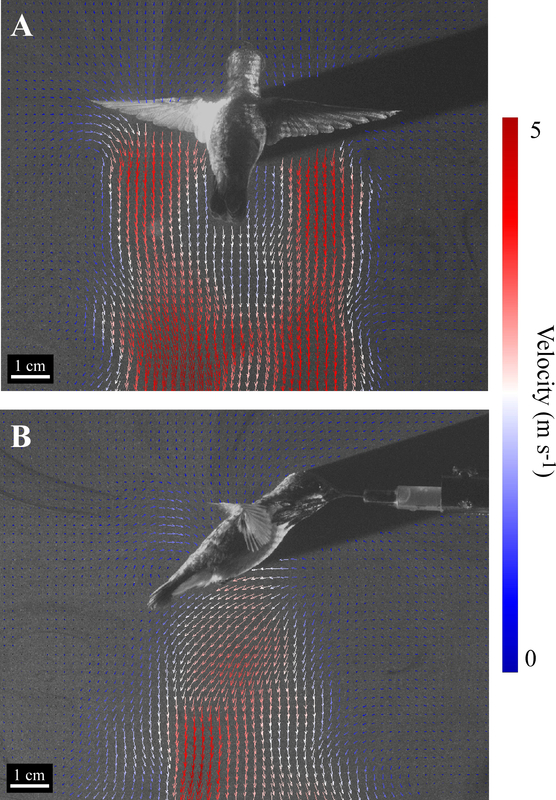 My lab is currently exploring questions associated with how a hummingbird’s unique anatomical design impacts the biomechanics of flight and the associated energetic cost. Our approach involves laboratory studies where flight conditions are controlled in a wind tunnel and field studies of hovering flight currently being conducted in southeastern Arizona. 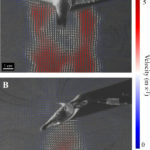 Recently we have expanded our laboratory work to include studies of heat balance during flight using high-speed infra-red imaging. Key collaborators in this work are Dr. Bret Tobalske, University of Montana, Dr. Doug Warrick, Oregon State University, and Dr. Susan Wethington, Hummingbird Monitoring Network. 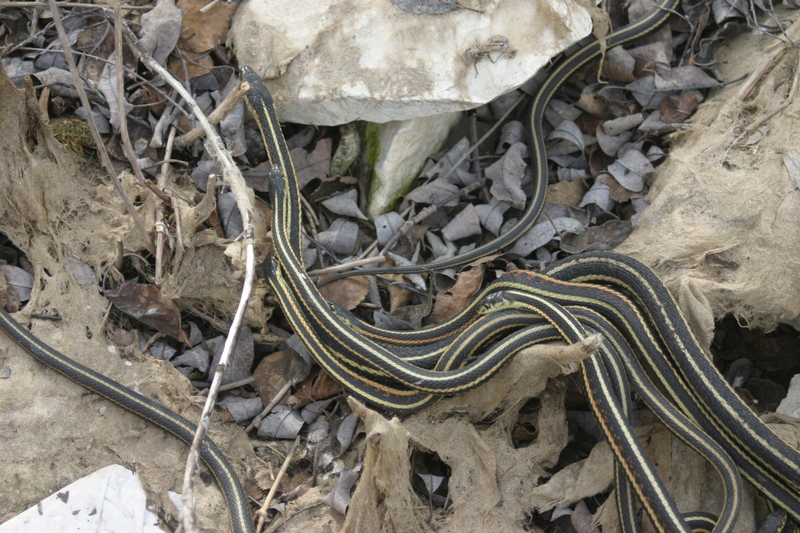 In collaboration with Dr. Bob Mason and Dr. Chris Friesen my lab is exploring questions associated with the reproductive energetics of red-sided garter snakes (T. sirtalis parietals) with specific interest in male-male competition for females and female energetic cost during courtship and copulation. We have conducted in the past experiments that explore how body size (male and female) and mating-group size impact reproductive costs. This past season our experiments explored the cost of male copulatory plug production contributes to a male’s energetic costs and how the cost of plug production might be impacted by male body size.. T. sirtalis parictalis is particularly interesting because of the high concentration of males that are competing for a few females when they emerge from hibernation.